It’s been nearly seven months since the Duchess of Cambridge’s last engagement, when she attended an event with Prince William on 22 March. Kate took a well-deserved break after welcoming little Prince Louis, who was born in April, but now she’s back to work. 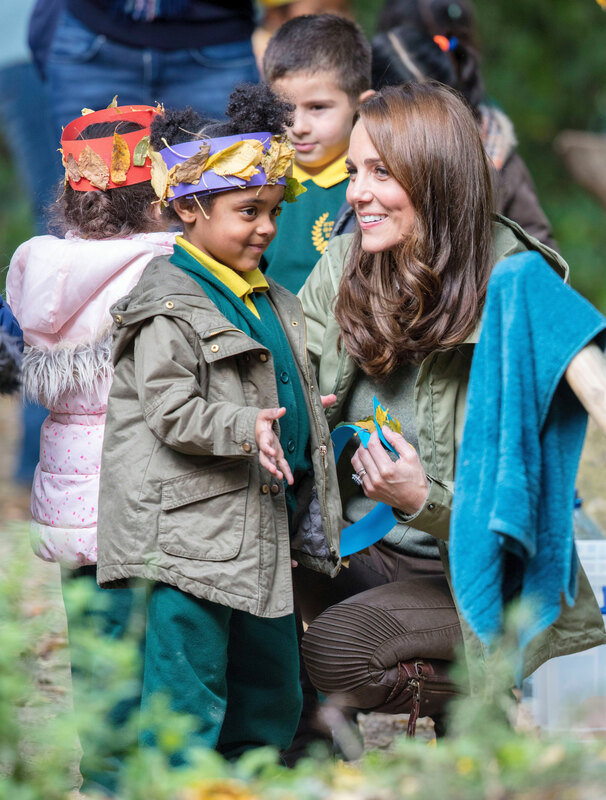 Yesterday she had her first engagement at a recreation ground in Paddington, London, where she spent time with local school children learning about how being outdoors and playing in nature can help with little ones’ well being. While the mum-of-three seemed very happy to be surrounded by children, one particular moment has captured fans’ hearts. In a clip shared by royal reporter Rebecca English on Twitter, the Duchess is seen completely unfazed when a little girl gives her her cup to hold – something most mums can relate to! In another very sweet moment, Kate was asked by another little girl why the photographers were taking pictures of her, to which she replied: ‘They’re picturing you because you’re so special’. So cute! Kate’s next engagement will be next week, on October 9th, when she will attend the first Global Ministerial Mental Health Summit. The event will also be her first one back alongside husband William, who recently travelled to Africa in official royal duties.